Professor John Disterhoft will be giving a keynote speech at Measuring Behavior 2014 (Friday 29th August, 09:00) entitled, "Eyeblink Conditioning: A Paradigm to Study Associative Learning Across Species". John Disterhoft has extensive research experience investigating the neural mechanisms of learning in young and aging animals and in the learning deficits associated with aging and Alzheimer’s Disease. The portion of his research program investigating slow outward currents during learning in aging has received two consecutive MERIT award designations from the National Institute on Aging. The other portion of his research program involves studying the activity of many single neurons in conscious animals during learning and memory consolidation. He directs the Northwestern University NIA funded predoctoral and postdoctoral training program on Mechanisms of Aging and Dementia, is Associate Director of the Northwestern University Alzheimer’s Disease Center and is Executive Director of the Northwestern University Behavioral Phenotyping Core. 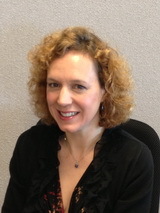 The second keynote speech will be given by Jennifer Healey of Intel. Her speech is entitled, "Measuring behavior to offer better solutions: in the moment and longer term" and will be given on Thursday 28th August at 09:00. Jennifer Healey with is a research scientist with the Interactions and Experiences Research Lab at Intel. Dr. Healey joined Intel as part of the Digital Health Group in 2005 to work on applications for mobile physiological sensing devices and has since been involved in developing a context aware mobile phone system and intelligent, context aware in-vehicle infotainment systems. Her interests in Measuring Behavior include both in the moment assessments to determine whether or not a driver is ready to take control of a self-driving car and long term modeling of relationships between people and technology. Dr. Healey received her BS, MS and PhD at Massachusetts Institute of Technology (MIT) from the Department of Electrical Engineering and Computer Science in 2000. Her thesis work on “Wearable and Embedded Systems for Recognizing Emotion from Physiology” was conducted at the MIT Media Lab under Prof. Rosalind Picard. Professor Gernot Riedel's keynote is entitled "Strategies in spatial learning: new in-depth psychological analysis using old tools" and will be given on Wednesday 27th August at 09:10. Gernot Riedel is Chair in Systems Neuroscience at Aberdeen, UK. He was an undergraduate in Darmstadt and obtained a PhD in Mainz, before working as a post-doctoral research fellow in Magdeburg, York and Edinburgh. In addition, he also is honorary Professor at Wake Forest University in Winston-Salem, North Carolina, and the Nencki Institute, Warsaw. Gernot is an active member of numerous editorial boards of journals publishing behavioural science, has edited a number of special issues on selective topics related to cognition and has contributed >100 scientific publications. His research focuses on mechanisms for memory formation in animals (episodic, motor, habit), and how this knowledge can be translated to human disease. Consequently, the research group has established novel genetic and pharmacological models of major neurodegenerative and psychiatric disorders with cognitive dysfunction (Alzheimer, Parkinson, schizophrenia, depression, autism, Rett, obsessive-compulsive) and these are investigated using behavioural, cellular, biochemical, physiological and imaging endpoints in vivo and in vitro including innovative wireless EEG devices for mice and the examination of sleep and sleep anomalies as biomarkers for neurological diseases. 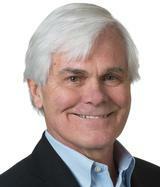 Professor Riedel is also a conference chair of Measuring Behavior 2014.